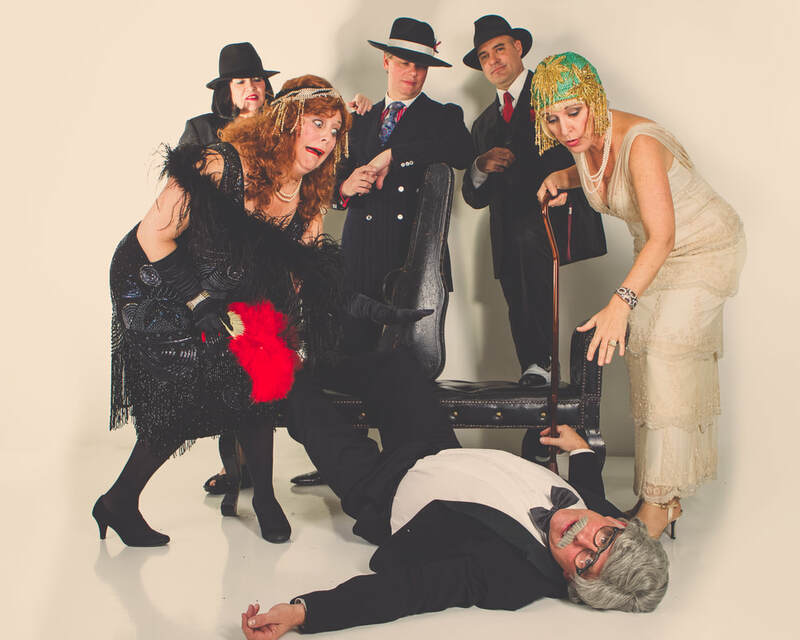 I recently chatted with a very talented friend who owns a theatrical group that performs interactive murder mysteries at restaurants and corporate events. I asked him if he had tried the Facebook ads I had recommended. I then asked when he stopped the ads. He said January. Then I asked when the activity stopped. He said January. How can these business owners be so out of touch with the reality of their marketing? 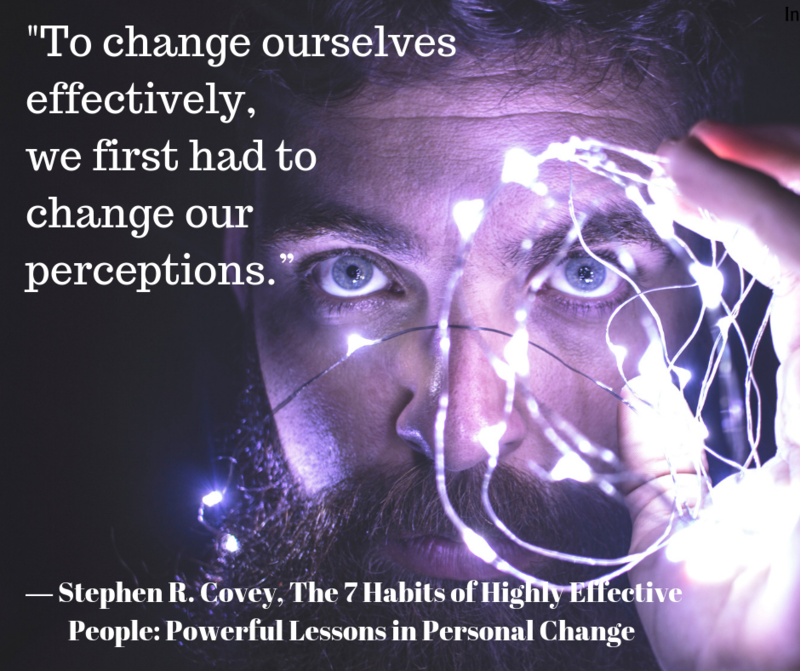 It’s because we are often so tied to our own filters and our perception of the world as it relates to us – or our businesses. Perhaps your company is not on social media. You don’t like it. You think social media is stupid and that it’s a time waster. No one you know is on social media. For this reason, you don’t have a social media presence and yet you can’t understand why your competitors are doing well - and you are not. Well, I hate to tell you this, but BILLIONS of people are on social media and every time the news says it’s on its way out more people get onboard. Every business needs to be on social media even if it’s on a limited scale. Period. This is especially true for B2C (business to consumer) entities but it's also fabulous for B2B operations. Or, let’s say you don’t like email marketing. You hate sending emails and you hate receiving them. You say email marketing is dead. Because YOU feel this way, you never send e-newsletters. Did you know that email marketing still has one of the highest ROI’s? The ROI for email marketing is, on average, $43 for each dollar spent. Not too shabby and it’s inexpensive to do. The KEY to all marketing is frequency and consistency. Traditional marketing research used to say that a consumer had to “see” you at least 12 times before they start to pay attention. I actually think that number is much higher now since we all barraged with so much information on a daily basis. Why do you think radio and TV commercials are played over and over and over again? Big advertisers know the all encompassing power of repetition to cut through the crowd. 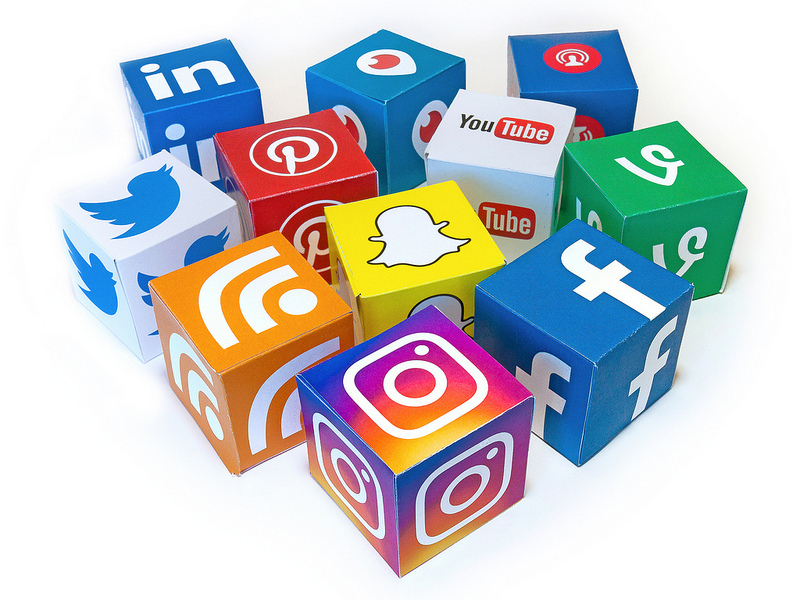 If you are just sending out an occasional eblast, or doing a social media post every now and again, you are not gaining momentum for your marketing. When you are on various platforms frequently and consistently, what you may think is not working is – it’s in the building phase. This can take as little as two months if you are being very aggressive, but the average is around 6 months for campaigns to start to “gel” and for people for start paying attention. Perception is a funny thing but you can challenge YOUR perceptions - and succeed. A Picture is Worth a Thousand Words – So Why Aren’t You Talking? I was working with a theatrical group who was producing and performing hilarious interactive murder mystery shows in 2015. I needed high resolution images to submit with press releases and for use on social media to promote their business. Strangely enough, these amazingly talented actors only had grainy pics of their shows from the 1980’s! I quickly scheduled a professional photo-shoot to get some publicity shots. The second I saw the resulting photos I knew we had a hit. Within weeks I was obtain to obtain 3 TV segments and two articles in local publications for the group - and their show at a local dinner theater venue sold-out. It has NEVER been more important to have good images to promote your business! I’m not talking taking selfies with your iPhone (although the quality of cells phone cameras is much better these days) – you MUST have solid, high-resolution, well-lit, professional images to support the story of your business. Why? Public Relations and Social Media are VISUAL mediums. Busy producers or editors often only have seconds to scan a press release. What can really “sell” your business is a photo that tells your story quickly. On Social Media images are equally – if not more – important. Great photos create engagement! With millions of posts being produced daily, your brand has to stand out with images that also support your overall message. You want people to see your post and stop scrolling. A cool image that supports your brand is powerful with a Capital P! Tip: Cell phone cameras can be fine when you are taking photos at networking or other events to post on social media platforms. For images to accompany press releases, professional photos work best. So start clicking! The more images you have the better. If you can’t afford a professional photo shoot, invest in a good camera. Let your images do the talking for you! Remember during the 2014 Winter Olympics when skier Bode Miller became emotional when asked questions about the death of his brother? As he became distraught and tearful, the reporter kept asking more questions in an interview that was heartbreaking to watch. I believe (or want to believe), my response was more eloquent that this - but you get the drift. They COULD have pulled the interview. They had time to do so. They didn’t and it DID get a lot of attention on social media! My post became a “featured comment,” drawing around 60 likes or so on MSNBC, and my website received over 200 hits in a short amount of time (which was a lot at the time for my teeny tiny site). I was astounded. Controversy. Love it or hate it, it can be very effective tool in your marketing and communications arsenal. Now, don’t get me wrong. When I posted my comment it was simply because I was honestly appalled by what I had seen and felt Miller (who after the fact was very supportive of the reporter) was exploited. I had no idea that it would draw any attention. Why Controversy Works: With the seemingly “anonymity” of the internet people are becoming more vocal (even "snarky") online more than ever before. As marketers compete for whatever engagement they can get, controversial content is being used more frequently for shock value and to get a reaction. Say Yes to the Dress! 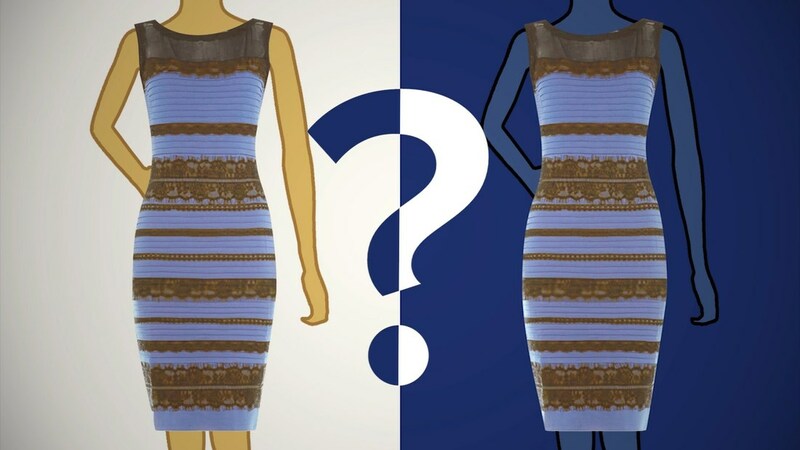 A great positive example of using controversial content to increase engagement was the “dress” debate in 2015 (see photo above). All over social media networks some saw the dress as blue and black - while others saw the dress as white and gold. It was EVERYWHERE! Why did it get so much media play? It created a viral buzz because people could comment and disagree. In other situations I’ve discovered that controversy can even be used to right a wrong. In 2016, the family of a very prominent (late) politician alerted me that their grandfather had been omitted from the cover of a popular magazine which highlighted the most influential individuals in Arizona history. I contacted the editor on their behalf and he agreed that it was a slight. This “complaint” resulted in a gorgeous full-length article and the family was very happy. Caution: Just keep in mind that using controversy simply to get attention can be a dangerous thing. Yes, you may get more website or blog hits, but you also risk offending some (or all) of your followers. Are You Using Social Media as a Crutch? I asked her how she was promoting her high-end services for professionals. She said, “Well, I’m on Facebook all the time and Twitter. I’m on Instagram. I’ve been publishing posts on LinkedIn but nothing is happening." I’m writing this because I hear this all the time - business owners who spend all their precious time on Social Media. Results aren’t showing but they continue to pump out information day after day, month after month. There is that OLD saying, “Insanity is doing the same thing over and over and expecting a different result.” Yada, yada, yada. If you are on Social Media constantly and nothing is working – stop. Take a break. I know it can be addictive, it can be fun, but it may also be a crutch stopping you from exploring other creative options to market your business. Don’t get me wrong - Social Media is one of the most ingenious marketing tools invented. It’s a quick and free way to get information out in a short amount of time. It’s easy to use. Anybody can do it. It’s wonderful for small businesses with limited marketing budgets. It can be fabulous for event promotion. With compelling images and clever messaging it can be extremely effective. I know many highly successful people who are not on Facebook, LinkedIn or any other social platform. They have lots of money to spend but if you are only on Social Media they aren’t going to spend it with you. I also know droves of people getting off of Social Media. As the economy improves they are too busy making money to spend their days checking status updates. The wealthy CEO you may be trying to reach doesn’t have time to be constantly checking their Facebook account. Are you curious about other available marketing tools? Reach out to us today for our free “Is Social Media the Best Fit for Me?” cheat sheet. One of our clients, an award-winning Scottsdale children’s book author, was recently on a popular local TV show promoting a backpack special offer to include the book, puzzles and other items. Two weeks later she had not received a single backpack sale. A lady in Mesa then contacted the author to let her know that she had been trying to buy her book from the website but kept getting an “internal server error" during check-out. What was going on? We investigated further and discovered the backpack sales page had been visited 50+ times and there were also “abandoned” carts for other products! Working with the web designer we identified the issue, tested and retested the check-out process, and now online ordering is working properly on the site. Does it have a clear and compelling call to action? Is the check-out process simple and, more importantly, does it work? Test the online sales process yourself and get feedback from friends and associates. Make sure everything is as streamlined as possible. If product check-out is cumbersome or confusing it can make customers abandon the buy. We live in an Amazon world of seamless online buying - people are expecting an easy way to purchase. Keep it simple and "check the check-out." Questions? Call us today at (602) 466-3333 for a free consultation. Earlier this year I was able to obtain a feature article for a client selling self-defense gadgets. She received just one call from the article. The call happened to be from a manager of a major Arizona utility who asked her to present her safety products to their employees. Hmm. We discovered a need for organizations to keep their employees, especially women, safe in the workplace. However, this wasn’t saleable to TV stations because they felt this was too product driven. We fine-tuned a new release to focus on low-cost home safety hacks for the summer months. With that angle were able to obtain two TV segments and expose her to yet another audience. Through the article, TV segments and employee presentation she began getting inquiries to present to other organizations. Her focus has now shifted from selling products to speaking engagements and is busier than she’s ever been. Now, not all press has this type of result, but this strategy got her in front of, again, a brand NEW audience. Through her website and social media efforts she never would have been exposed to this one manager looking to find ways to keep her employees safe. We live in a society where the expectation is that one article or TV segment will go viral or generate thousands or millions in sales when the true “magic” is in the hard work of finding your audience and then adjusting your message to appeal to them. Press is so effective because you have the opportunity to reach out to different markets and also test your message. It also gives businesses more credibility. It’s especially effective to send out monthly releases because it lends consistency to your marketing and PR efforts and allows interest to build. Press can also be shared on social media channels for even more impact and reach. The moral of this story is that marketing is hard work and is fluid. You have to coordinate your efforts and constantly retool and adapt your message. The real magic happens when you realize there may be a perfect audience for your product or service that you never knew existed. Would press work for your business? Call us at (602) 466-3333 for a free brain-storming session.